We have appeared as a qualified Expert Witness in a number of legal cases involving business fraud, real estate disputes, and business succession matters. We are qualified to serve as Expert Witnesses for: accounting and tax matters; divorce and child custody issues, medical practice partnership disputes, litigation involving ambulatory surgery centers, and most business disputes involving small to medium sized businesses. 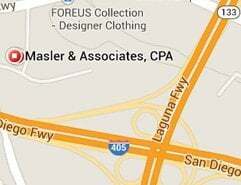 Contact Masler & Associates about expert witness services.